Match ends, Sheffield United 0(4), Leicester City U23 0(5). Penalty Shootout ends, Sheffield United 0(4), Leicester City U23 0(5). Goal! Sheffield United 0(4), Leicester City U23 0(5). Layton Ndukwu (Leicester City U23) converts the penalty with a left footed shot to the bottom right corner. Goal! Sheffield United 0(4), Leicester City U23 0(4). Jack O'Connell (Sheffield United) converts the penalty with a left footed shot to the bottom left corner. Goal! Sheffield United 0(3), Leicester City U23 0(4). Harvey Barnes (Leicester City U23) converts the penalty with a right footed shot to the top right corner. Goal! Sheffield United 0(3), Leicester City U23 0(3). Harry Chapman (Sheffield United) converts the penalty with a right footed shot to the bottom right corner. Goal! Sheffield United 0(2), Leicester City U23 0(3). Admiral Muskwe (Leicester City U23) converts the penalty with a right footed shot to the bottom right corner. Goal! Sheffield United 0(2), Leicester City U23 0(2). Mark Duffy (Sheffield United) converts the penalty with a right footed shot to the bottom right corner. Goal! Sheffield United 0(1), Leicester City U23 0(2). Demarai Gray (Leicester City U23) converts the penalty with a right footed shot to the bottom left corner. Penalty saved! John Fleck (Sheffield United) fails to capitalise on this great opportunity, left footed shot saved in the bottom right corner. Goal! Sheffield United 0(1), Leicester City U23 0(1). Ben Chilwell (Leicester City U23) converts the penalty with a left footed shot to the top left corner. Goal! Sheffield United 0(1), Leicester City U23 0. 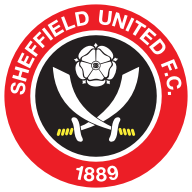 Paul Coutts (Sheffield United) converts the penalty with a right footed shot to the bottom left corner. Penalty Shootout begins Sheffield United 0, Leicester City U23 0. Second Half ends, Sheffield United 0, Leicester City U23 0. Corner, Sheffield United. Conceded by Ben Chilwell. Attempt missed. Demarai Gray (Leicester City U23) right footed shot from outside the box is just a bit too high from a direct free kick. Admiral Muskwe (Leicester City U23) wins a free kick in the defensive half. Attempt blocked. John Fleck (Sheffield United) right footed shot from the left side of the box is blocked. Attempt missed. 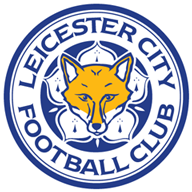 Luis Hernández (Leicester City U23) header from the right side of the six yard box is too high. Corner, Leicester City U23. Conceded by Simon Moore. Attempt saved. Elliott Moore (Leicester City U23) header from very close range is saved in the top centre of the goal. Corner, Leicester City U23. Conceded by Chris Hussey. Attempt saved. David Brooks (Sheffield United) right footed shot from the right side of the box is saved in the bottom right corner. Foul by Marcin Wasilewski (Leicester City U23). Substitution, Leicester City U23. Harvey Barnes replaces Matthew James because of an injury. Attempt saved. Harry Chapman (Sheffield United) right footed shot from the right side of the box is saved in the centre of the goal. David Brooks (Sheffield United) is shown the yellow card for a bad foul. Demarai Gray (Leicester City U23) wins a free kick in the defensive half. Ben Chilwell (Leicester City U23) wins a free kick in the defensive half. Substitution, Sheffield United. David Brooks replaces Matt Done. Attempt missed. Chris Hussey (Sheffield United) right footed shot from outside the box is too high. Attempt missed. Harry Chapman (Sheffield United) right footed shot from the left side of the box is close, but misses to the right. Luis Hernández (Leicester City U23) wins a free kick on the left wing. Foul by Chris Hussey (Sheffield United). Attempt saved. Harry Chapman (Sheffield United) right footed shot from the left side of the box is saved in the centre of the goal. Foul by Elliott Moore (Leicester City U23). Attempt blocked. Demarai Gray (Leicester City U23) right footed shot from the right side of the box is blocked. Corner, Sheffield United. Conceded by Matt Miles. Second Half begins Sheffield United 0, Leicester City U23 0. Substitution, Sheffield United. Mark Duffy replaces Billy Sharp. Substitution, Leicester City U23. Elliott Moore replaces Yohan Benalouane. First Half ends, Sheffield United 0, Leicester City U23 0. Attempt missed. Chris Hussey (Sheffield United) left footed shot from the left side of the box is too high. Attempt missed. Daniel Rowe (Leicester City U23) left footed shot from the left side of the box is close, but misses to the left. Attempt missed. Matt Done (Sheffield United) header from the centre of the box misses to the left. Attempt missed. John Fleck (Sheffield United) left footed shot from outside the box is high and wide to the left. Attempt missed. John Fleck (Sheffield United) left footed shot from outside the box misses to the right from a direct free kick. Foul by Yohan Benalouane (Leicester City U23). Attempt missed. Matthew James (Leicester City U23) left footed shot from outside the box is close, but misses to the left. Substitution, Leicester City U23. Max Bramley replaces Ben Hamer because of an injury. Attempt blocked. Daniel Rowe (Leicester City U23) left footed shot from outside the box is blocked. Marcin Wasilewski (Leicester City U23) wins a free kick in the attacking half. Layton Ndukwu (Leicester City U23) wins a free kick on the left wing. Attempt missed. Yohan Benalouane (Leicester City U23) header from the centre of the box is too high. Attempt blocked. Demarai Gray (Leicester City U23) right footed shot from outside the box is blocked. Chris Hussey (Sheffield United) wins a free kick in the attacking half. Foul by Layton Ndukwu (Leicester City U23). Attempt missed. Billy Sharp (Sheffield United) left footed shot from the centre of the box misses to the left. Luis Hernández (Leicester City U23) wins a free kick on the right wing.